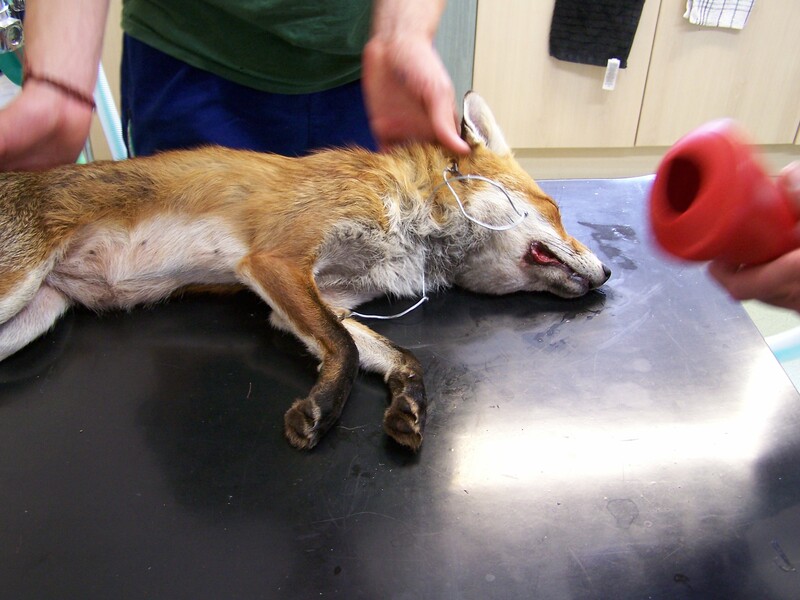 Over the years we have had to deal with countless wild animals that have suffered horrendous injuries after being caught in snares. 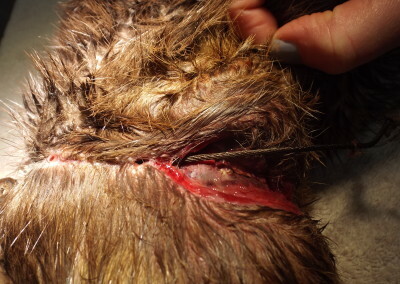 Most of the snares used in these incidents are perfectly legal and those that set them will have the public believe that they do not cause any suffering and that once an animal is caught in one it will not struggle but will sit quietly until it is dealt with. The photographs on this page show that this is simply not true – a wild animal will struggle relentlessly once trapped causing horrific, major injuries to the part of the body that is constricted. to ban the use of snares. 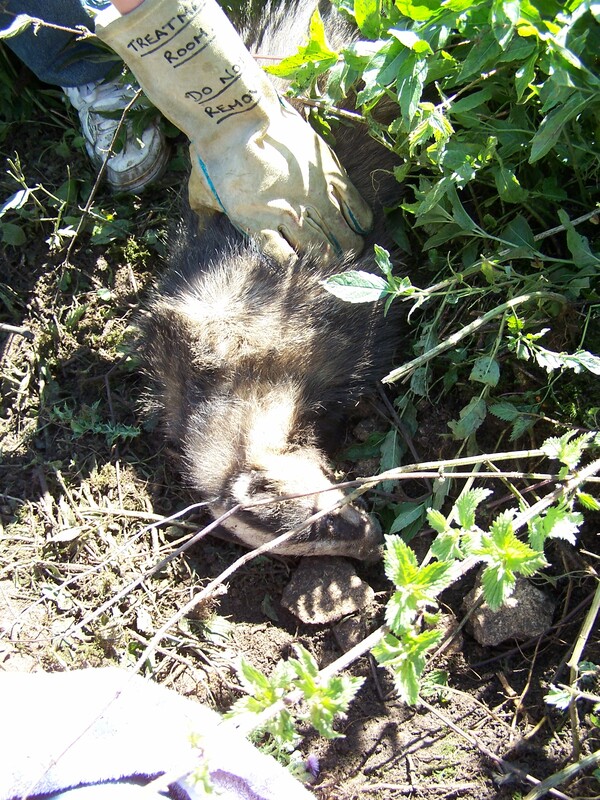 The League Against Cruel Sports believe that snaring is a cruel, indiscriminate, and wholly unnecessary practice that has no place in modern society. 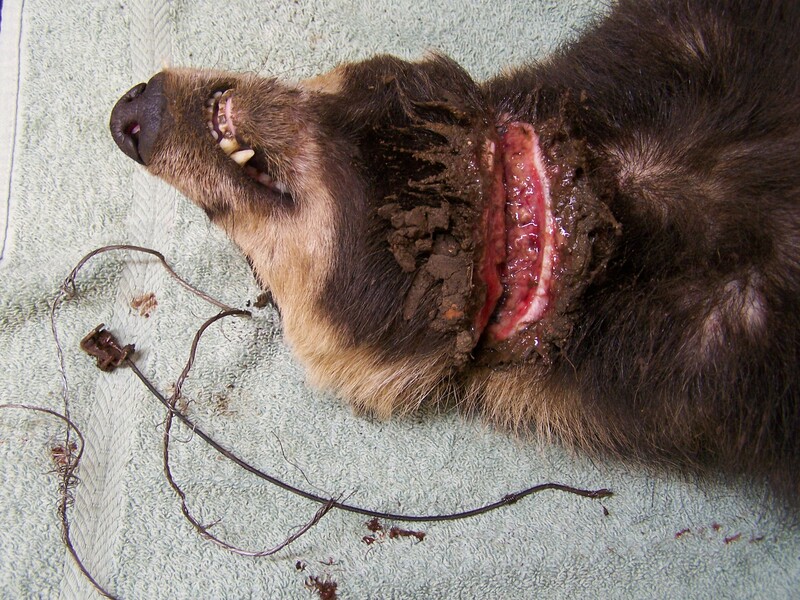 That’s why they are calling for a total ban on snaring and an end to their manufacture, sale and use in England and Wales. 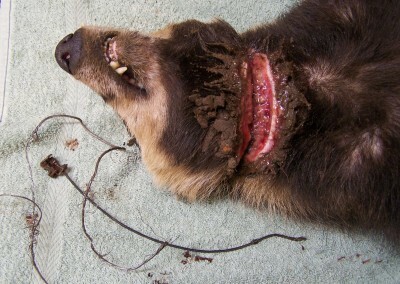 Please sign the LACS petition and help to get these barbaric,snares banned. 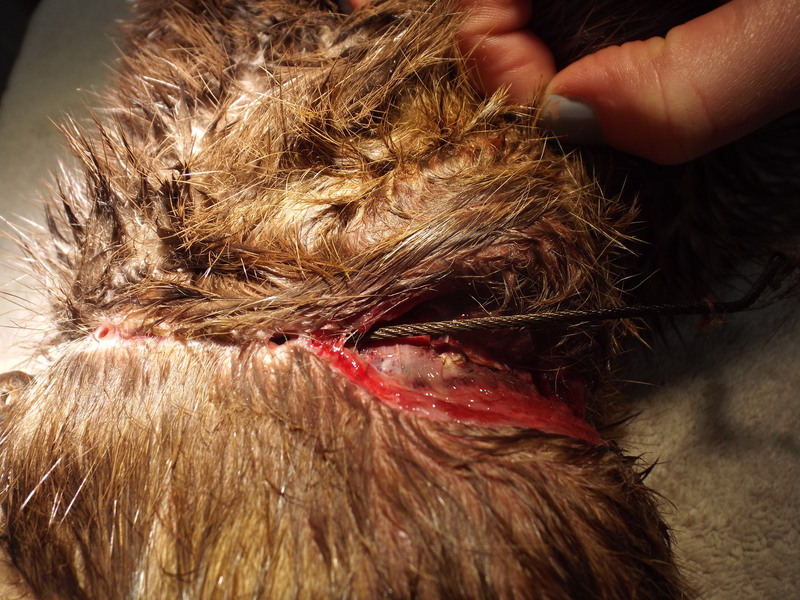 The National Anti-Snaring Campaign website contains a wealth of information about snares and traps and the damage they cause. Any animal that is found with any type of constriction around a part of its body, should NEVER be released immediately, even if there are no obvious wounds. Very often the area where the constriction was will start to break down after a few days (a process known as pressure necrosis) and the whole site will become a deep, infected wound. 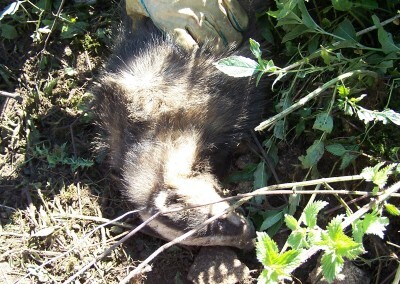 Therefore, any animal caught in this way should be kept for a MINIMUM of 7 days to monitor the affected area.